Some historic hotels tell their story through the photos and antiques displayed around the property. At The Martha Washington Inn & Spa, when you walk through the front door you might actually believe you've stepped back in time to the 19th Century. The fine touches and tasteful decor make you feel as if you're entering a stately old home. Indeed, you are. The Martha was built in 1832 as a private residence. The original living room is now the main lobby. The Martha Washington Inn & Spa is known for impeccable service and its world-class spa treatments. Sixty-three rooms and suites each feature their own unique character and personality. Enjoy extra amenities in each room in addition to in-room coffee and tea maker, and of course bottled water. A basket of complimentary snacks for those late night hunger pangs is placed by every bedside. For a special treat, before retiring enjoy a complimentary glass of port in the library. The Martha was built in 1832 as a residence for General Francis Preston and Sarah Buchanan Preston and their nine children. The building has a rich history that includes good times and bad. In 1858 the Preston family home was purchased and turned into an upscale college for young women. It was named Martha Washington College in honor of the first lady of our nation, although it was affectionately called "The Martha" by locals. During the Civil War, Confederate troops used the Martha for a temporary hospital. The Martha first opened as a hotel in 1935. It has changed ownership and management a few times since then, but all have maintained the architectural and historic integrity of the original structure. Whether your ideal vacation involves a ride on The Virginia Creeper Trail or a leisurely evening sipping a cocktail on the gracious front porch, The Martha can accommodate you in style. Sisters American Grill at The Martha is a comfortably elegant restaurant, featuring wood paneling, leather club chairs, a roaring fireplace, and discreet HDTVs for those who can't stand to miss the game. Open for breakfast and dinner, 7 days a week. Pick up a generous glass of “goodnight” port wine each night at the Front Desk thereby guaranteeing “sweet dreams” and on Saturdays, enjoy afternoon tea and cookies, a great favorite to meet and mingle with other guests. 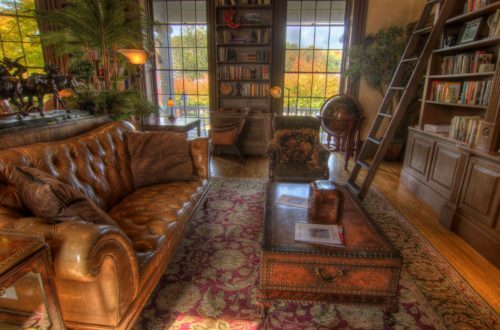 The Round-Table Library features over 1000 volumes of American writers and an assortment of favorites, a great place to curl up in front of the fire on any evening. Guests can use complimentary town bikes for you to take a pleasant ride down Main Street. For an additional fee, the Martha offers a Creeper Trail shuttle to White Top Station, including bikes. The therapeutic salt water heated pool is a popular year-round feature as is the outdoor heated multi-level Jacuzzi spa and fire -pit. A new attraction, Martha's Mini-Golf Links, an 18 hole fun course , will challenge the putting skills of all ages ( March-November). The Martha is Abingdon's most famous hotel and a treasured landmark. It's part of the extraordinary tradition of hospitality that can be found at hotels and unique inns all around town. Numerous Bed & Breakfast Inns are located throughout the downtown district. Well-known brand name hotels and even quaint rental cabins round out the lodging options in Abingdon. For more information, visit our Lodging page.